Access all your favourites on any device, throughout your home. Out of the house? On the go? Wherever there is an Internet connection, there is always a way back home. With the Personal Cloud, stream and share all your content to top selling Smart TVs and mobile devices. Centrally store and back up your content from all devices, automatically. 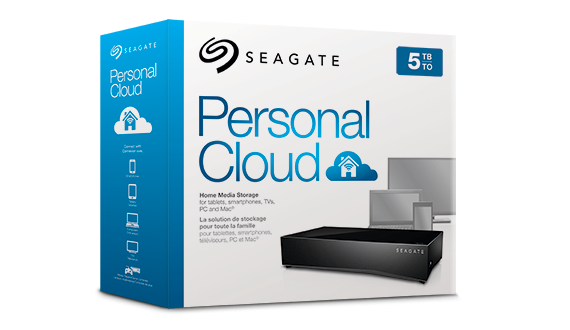 For maximum protection, the Personal Cloud 2-bay mirrors your content to a second drive. Personal Cloud allows you to enjoy your everything in a connected home. From your laptop, grab a document from your Personal Cloud and get to work. Spend moments with your friends and family watching movies in your living room. Dig deep into that music collection you’ve been building up for so many years. Stream your music, movies or photos from your mobile devices or laptops, or go straight to your big screen TV for the full experience. You can also cast your content to a Chromecast, LG Smart TV or Roku player easily using the Seagate Media app. With your Personal Cloud, you can securely access your content from anywhere and share.